This photo of paper lights was taken outside a storefront in Eastern North Carolina. 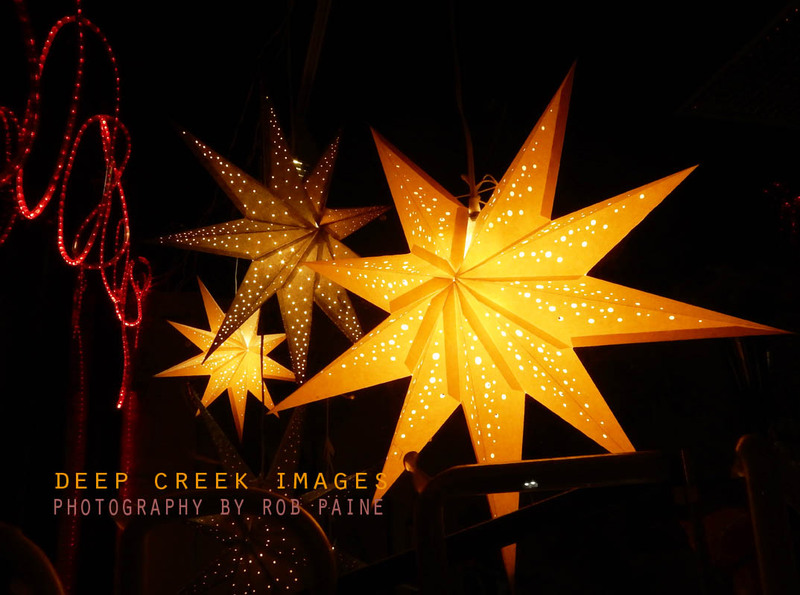 Photo by Rob Paine, Deep Creek Images. Beautiful shot in low light. Very sharp and crisp, and great contrast of foreground and background colours. Over the years I’ve found holding the camera very still works best for night shots, if I don’t have a tripod. You did well there. Thanks so much Mabel. This shot was taken sans tripod though it was taken with a very small camera that is easy to keep steady.